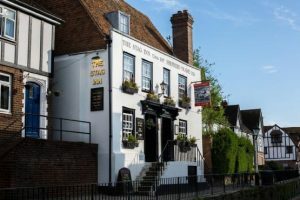 Well connected by train from London, Hastings is famously known for the 1066 Battle of Hastings and temporary home of William the Conqueror. With a rich maritime history, Hastings has Europe’s largest beach-launched fleet. It also has a cool community art scene, pretty Old Town with its charming twittens and narrow streets, and award-winning pier. 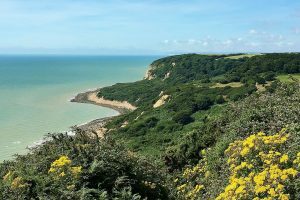 Hastings Country Park Nature Reserve provides stunning views from the cliff tops over the town and south east coast. An important conservation area for wildlife, it is very diverse. A beautiful area of ancient woodland, cliff top grassland and mixed heather, lowland meadow and sustainably managed farmland. It’s a real time out and great spot for a picnic. 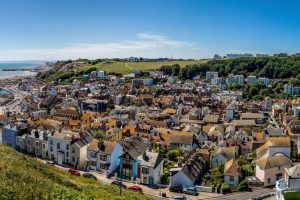 Hastings Old Town is full of charm with its weather-boarded cottages, twittens (narrow passage ways), ancient churches and buildings, and jumble of independent cafes, restaurants, shops, antiques. The Stade contrasts spectacularly on the seafront. Tall black net huts house towering high in the working fishing quarter. 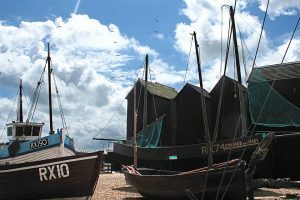 The Stade, meaning landing place, is a shingle beach home to a working fishing port where you can see the industry at work, an example of living history. The Stade has been beaching boats for more than a thousand years and is Europe’s largest fleet of beach-launched fishing boats. You can’t miss the iconic black timber net sheds, fresh fish for sale, seafood outlets and events. 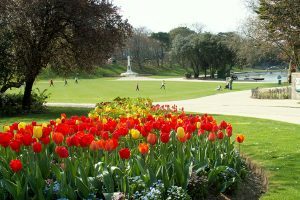 Alexandra Park was opened in 1882 by the Prince and Princess of Wales; Hasting’s largest formal park. Known for one of Britain’s best collection of trees, it also is home to a café, bowls, tennis, playgrounds, fishing and reservoirs. It’s a lovely space for all to have some time out. 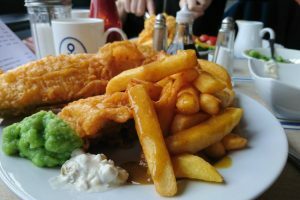 Enjoy great views and the freshest fish brought in from the boats in the market below at Maggie’s warm and welcoming cafe. 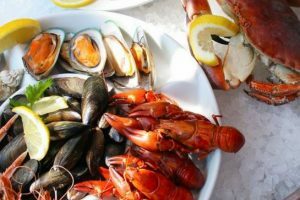 Bookings are advisable, as this Fisherman’s Beach side cafe is popular with residents are tourists six days a week! Cinnamon Spice’s polite and friendly team want to guide you on your curry journey using their wealth of knowledge. 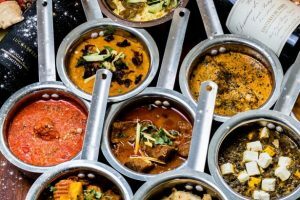 Their aim is to provide an outstanding dining experience, whether you are eating in the restaurant or swinging by for a takeaway. 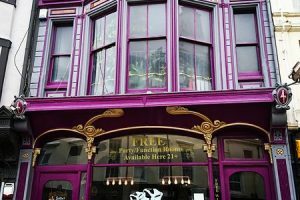 You’ll receive a warm welcome at this family run restaurant set in a Grade II listed building in the heart of the historic Old Town. Hearty, locally sourced meals that change with the season are served in a relaxed atmosphere, whatever the occasion. 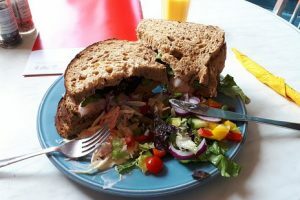 Good servings of freshly prepared food made to order and excellently served at this relaxed, beach front cafe. Rumour has it that portion sizes can be generous, so whether it’s a sandwich or the full English, be prepared! 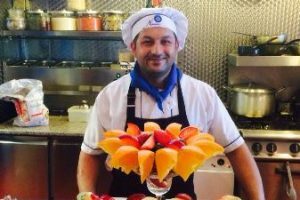 A great atmosphere with splashes of Turkish ambiance, coupled with good service and food with well-marked vegetarian options. Staff are welcoming, friendly, and happy to guide you through their menu. 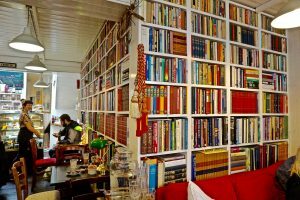 Enjoy a coffee or tea whilst perusing the abundant array of books in this bookshop café. Comfy sofas and friendly staff lend themselves to the bohemian atmosphere in this Old Town favourite. 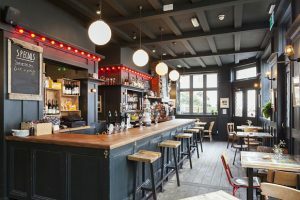 Gay friendly pub with quirky decor, a great vibe and a stone’s throw from the beach. It hosts live music and entertainment with the venue spread over three floors. Serving a wide range of beers, ciders, wines and spirits. It’s good fun day or night. 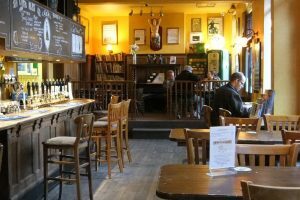 An independent freehouse offering a warm and friendly environment to enjoy their great selection of local ales and craft beers, fine wines, specialist gins, whiskeys and ciders. Oldy worldy 16th century pub with beamed ceilings and rustic interiors. Enjoy one of the guest beers, a glass of wine, or choose from the gin selection and take a seat in the garden any time of year thanks to the log burning stoves you can cuddle up to. By Car: From central London it’s a journey time of just over 2 hours to Hastings. It can take roughly 1 hr 8 minutes minutes to get to Hastings from the M25. 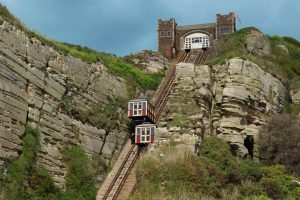 By Coach: National Express provides one coach per day throughout the week, which departs from London Victoria and takes two and a half hours to reach Hastings. By Train: Hastings is well connected to London with journey times around 1hr 30 mins from London Bridge and London St Pancras International. It’s an easy 1 hr 10 minutes from Brighton. Nearest Airports: A two-hour train ride can get you to Gatwick Airport or a 1 hr 30-minute car ride.